Barely 24 hours after the handing over of the mantle of leadership by the former Governor of Kano State, Rabiu Kwankwaso to his Deputy, Abdullahi Ganduje, the pensioners in the state civil service have dragged Mr. Kwankwaso to the Economic and Financial Crime Commission, demanding the repatriation of N2 billion pension money allegedly deposited by the former governor in a failed bank. The pensioners, in a petition dated May 20, 2015 and signed by one Barrister A.B Bulama Esq, said the pensioners’ trustees had deposited N2billion in Euro Bank Plc, Kano branch, at the urgings of Mr. Kwankwaso. They said soon after the deposit was made the bank went into liquidation and the former governor refused to follow up for claims. They asked the EFCC to invite Mr. Kwankwaso to explain why he refused to follow up the case of the N2billion pension fund at the NDIC. The petitioners noted that Mr. Kwankwaso was not a trustee of their funds and thus lacked the authority to deal with the funds as he liked. They also queried the continued withholding of their money, about N10billion, by the commissioner of finance and the accountant general. They said when they began to ask questions, the former governor told them he had purchased three warehouses for them at the Free Trade Zone in Kano. He also said his housing projects, Amana City, had been transferred to the pension trust fund in lieu of the retained N10 billion. 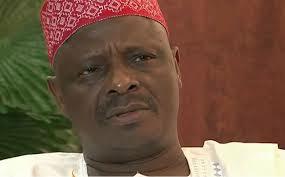 The petitioners, however, noted that the Mr. Kwankwaso’s actions were illegal and bordered on fraud. “For this and many more we ask the EFCC to do a thorough job to unravel the fraud done in all issues relating to us,” the pensioners said. Mr. Kwankwaso could not be reached immediately for this story.